Spectacular new images of an uncontacted indigenous village in Brazil are stirring pleas from tribal leaders and rights advocates for government intervention to protect the settlement from illegal gold prospectors. 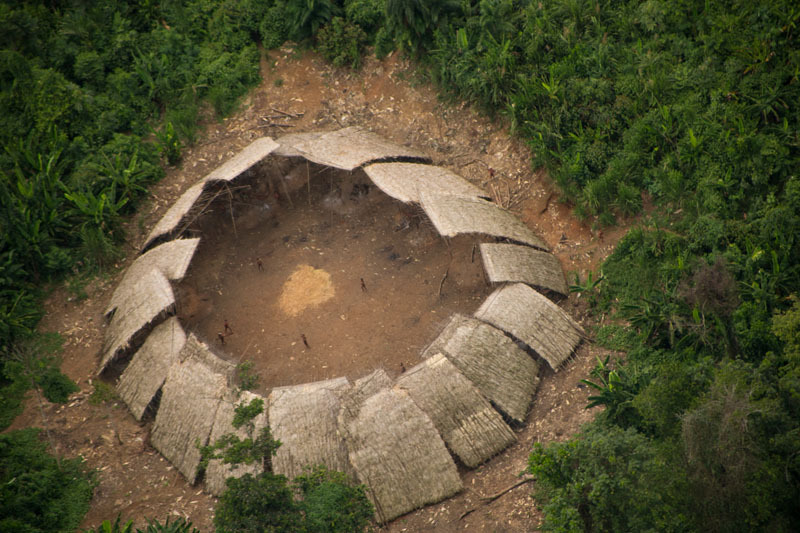 The aerial photographs show villagers gathered in the center of a traditional, circular structure inside the Yanomami Indigenous Territory, a sprawling reserve of rivers and upland forest situated astride the border with Venezuela. The images were taken in mid-September by officials from Brazil’s indigenous affairs agency, Fundação Nacional do Índio—known by its acronym, FUNAI—on a surveillance flight over the reserve in the run-up to a joint operation with army troops and police agents to clear out thousands of wildcat gold miners. The same Yanomani Indians had been observed at a village in another location on a reconnaissance flight four years ago. But that communal dwelling was later abandoned, and officials feared for the fate of the group until the most recent sighting. Known as the Moxihatetema, the villagers have assiduously shunned contact with outsiders, even with other Yanomami communities. 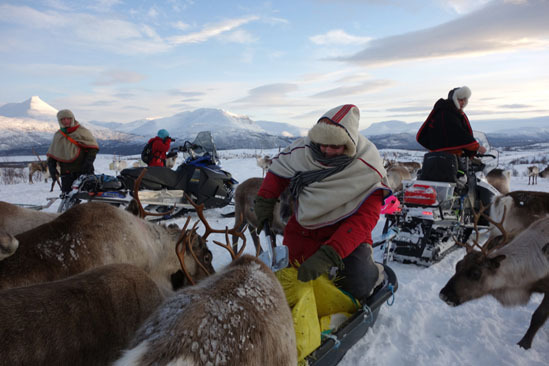 But that isolation could soon end, and officials as well as indigenous leaders fear it could end very badly. FUNAI officials and indigenous rights advocates say that concern is well-founded. Under the new conservative Brazilian government of President Michel Temer, FUNAI’s budget has been slashed by more than a third. The agents assigned to protect the Portugal-size Yanomami reserve are operating on a shoestring and find themselves overwhelmed by an estimated 5,000 prospectors illegally operating in Yanomami territory. Mining operations have increased dramatically in recent months, and the miners are supplied not only via the vast territory’s network of rivers but by a series of clandestine airstrips as well. In an effort to curb the invasion, FUNAI has enlisted the support of a small contingent of Brazilian army troops and state military police. Government officials say that about a thousand prospectors have been expelled from the reserve since the operation began at the end of October. The Brazilian government established the Yanomami Indigenous Territory in the months preceding the Earth Summit in Rio de Janeiro in 1992. At the time, the military launched a major effort, backed by aircraft and speed boats, to clear the region of illegal miners. But little by little, the prospectors have crept back in, often with the connivance of local political bosses and businessmen. Besides the threats of violence and contagious disease, mining operations are also contaminating the waterways in the once pristine region with mercury. Widely used to separate gold from sediment, the toxic chemical accumulates in fish, posing a serious health hazard to indigenous riverbank dwellers who depend on aquatic life as a major source of protein. The Yanomami gained international renown at the start of the new millennium, when Western scientists stood accused of perpetrating a host of misdeeds among the tribe in the course of their research. Widely known as the “Yanomami Controversy,” the imbroglio roiled the field of anthropology, with professional rivals trading accusations of using the tribe as an elaborate prop to further their own careers.